Justus Möser (December 14, 1720, Osnabrück – January 8, 1794, Osnabrück) was a German jurist and social theorist, best known for his innovative history of Osnabrück which stressed social and cultural themes. Having studied law at the universities of Jena and Göttingen, he settled in his native town as a lawyer and was soon appointed advocatus patriae (state attorney) by his fellow citizens. From 1762 to 1768 he was justiciarius (chief justice) of the criminal court in Osnabrück, and in 1768 was made Geheimer Referendar (privy councillor of justice). For 20 years, he was the legal adviser of the lay Protestant bishop of Osnabrück, Prince Frederick, Duke of York and Albany, a son of George III of the United Kingdom and of his Queen consort Charlotte of Mecklenburg-Strelitz. In addition to being a statesman and administrator, Möser was also a publicist, historian, and social analyst. His history of Osnabrück (1768; 2nd ed. 1780; 3rd ed. 1819) was and remains highly regarded. In his Patriotische Phantasien (1775-1786; 2nd ed. by his daughter, IWJ von Voigts, 1804; new ed. by Reinhard Zöllner, 1871) he pleaded for a natural, organic development of the state in place of arbitrary laws imposed by the sovereign. In his review of Justus Moser's economic views, Jerry Muller (1990) is careful to point out that Moser was likely a "precursor of modern conservatism" for his views on 18th Century capitalism would offend many a 21st Century conservative. Muller (1990) points out that "for Moser the expansion of the market was primarily a threat, ... in tandem, cameralism and capitalism threatened to erode the existing ... institutions which he so valued." Muller (1990) added more on this point: "New forms of capitalist economic organization ... have led to the disappearance of the link between ownership of property and civic responsibility. Men are so involved in acquisition ... that they no longer have time for political concerns and public life." Thus Jerry Muller (2002) argues that Möser's views on the economic and political aspects of society contrast sharply with those of his much more renowned contemporary, Adam Smith, and anticipate some of the ideas of the German Historical School and the social market economy. 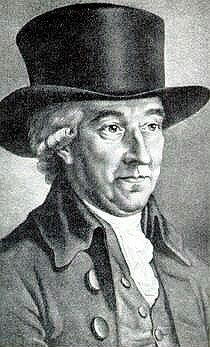 In some ways, Möser can be seen as the German counterpart to Edmund Burke. Knudsen (1986) sees him as a man of the enlightenment who sought to understand the world around him. He only came to be seen as a man of the right after the French Revolution had pushed everything much further left. Möser's Vermischte Schriften (1797–98, published by Nicolai with a biography) balances its insights into human nature with humour and witty sallies. He was also a poet of some repute, and in 1749 published a tragedy, Arminius. Möser also wrote short stories. A statue of him by Drake was unveiled in Osnabrück in 1836. His collected works in 10 volumes, Sämtliche Werke, were published by B.R. Abeken, 1842-1844. They are online in German at the Internet Archive. Johann Goethe was interested in his writings and included information about him in his own autobiography. "Möser, Justus" . Encyclopædia Britannica. 18 (11th ed.). 1911. Bossenbrook, W. J. "Justus Möser's Approach to History," in Medieval and Historiographical Essays in Honor of James Westfall Thompson (Chicago, 1938), pp 397-422. Muller, Jerry Z. "Justus Möser and the Conservative Critique of Early Modern Capitalism." Central European History 23#2-3 (1990): 153-178. Wikimedia Commons has media related to Justus Möser. This page was last edited on 19 December 2018, at 03:55 (UTC).